The work contains 1,00,000 verses. It is dated to or around 3102 BCE. Therefore, these points are critically analyzed in this paper. As Indian astronomy goes back to Vedic times and Indian astronomers have observed and recorded astronomical events meticulously and data in their works specifically, the astronomical works are taken here for dealing with the subject matter. As Aryabhata for the first time mentions about “Bharata” and links his date of birth with Kali Era, which is in turn connected with the date of Mahabharata, the astronomical works and commentaries are taken for interpretation. The Indian astronomers of Siddhantic works and followers have recorded the date of Bharata implying Mahabharat war in particular and starting of Kaliyuga or Era, that is used to reckon the dates of themselves at many places and in conjunction with Saka era in some places later. Aryabhata makes a specific mention about Bharata in his Aryabhatiyam. Most of the scholars including westerners have taken the connotation of it as referring to Mahabharat and in particular Mahabharat war, because, that is considered as the staring point of Kaliyuga / era in Indian astronomy and history too. Therefore, taking the astronomical works Siddhantas, Tantras and Karanas like - Aryabhatiyam, Mahabhaskariyam, Vatesvara-Siddhanta and Gola, Sisyadhivrddhida Tantra and the commentaries thereof, the significance of such references are studied to find out the date of Mahabharata only based on these ancient Indian astronomical works. As the authors and commentators have been astronomers, their authenticity about the astronomical data and information are reliable and taken for interpretation. Moreover, if the chronology of any ancient dynasty is taken for study, one can find that its origin goes back to Mahabharat1 and even beyond. It is not a myth or fantasy2, but an historical fact that has not been accepted by the historians on the plea that there are no archaeological evidences. According to scholars, it is Aryabhata (b.426 CE) who for the first time mentions about Bharata in his work while giving the number of years elapsed since the starting of the present kalpa. He uses the specific expression bharatat purvam, thus the commentators since his times to present day have been stimulated with inquisition and thus have analyzed, studied and interpreted critically. Any person or King with the name Bharata [this is farfetched because, Aryabhata uses the word Bhaarat only and not Bharat. In Vedic literature, the word Bharat denotes to a particular group of people Aitreya Brahmana. 8.23; Satapath Brahmana 13.5.4.11, 21; Tandya Maha Brahmana. 15.5.24; A. B. 2.25, 3.18 and Bhaarat (Taitreya Samhita. 2.5.9) to fire / Agni and its / his association with Bharat i.e, the people). Derived from bhr = to nourish, support, thus, Bhaarat or Bharat is nourisher or supporter]3. The people of Bharat (from the Vedic etymological interpretation of Bhaarat as noted above). Before Bharat, i.e, before the existence of the country Bharat (Whether the place or country or dvipam or island is debatable because of the chronology involved). Before Bharat battle i.e, before Mahabharat war. Before the advent of the people of Bhaarat. As astronomy is connected with the time and place, the possibility of the place of observation, whether it could be Bharat should be also taken into consideration, as it is linked with the deluge / movement of India towards Asian continent / submergence of certain parts, disappearance of Saraswati river etc. “A day of Brahma (or a kalpa) is equal to (a period of ) 14 Manus and (the period of one) Manu is equal to 72 yugas. Since Thursday, the beginning of the current Kalpa, 6 Manus, 27 yugas and 3 quarter yugas had elapsed before the beginning of the current Kaliyuga (literally before Bharata” (K. S.Shukla4). “There are fourteen Manus in a Kalpa, the day of Brahma and sixty-two Mahayugas in a Manu. Of the present Kalpa six Manus, twenty-seven Mahayugas of the seventh Manu as also the three-fourths of a Mahayuga passed before Thursday on which the Great War of the Mahabharata ended” (P. C. Sengupta5). The Discussion of the Commentators on bharatat purvam: The commentators of Aryabhatiyam have explained the significance of the expression used. For critical study, the commentaries of Bhaskara I, Somesvara and Suryadeva Yajvan are considered, so that their view prevalent during their period could be understood. The day of the Guru is the Gurudivasa i.e, Thursday. From that Thursday, the end of Bharat (war) and the starting of Kaliyuga are reckoned. Whatever Aryabhata told earlier is different, the Yugas had gone. As the Yugas had gone, so also the parts of the Yugas. Out of the four parts, three parts of Yugas have gone. After the expiry of 27 yugas, three quarter of a yuga has also gone. The 28th yuga has come. Thus, the first day is Gurudivasa i.e, Thursday. From that day onwards, the Kaliyuga starts. In Bharat, the Bharatas like Yuddhistira witnessed the Thursday. The heroes of the (Maha)bharat who witnessed such Thursday relinquished their royal life and started their "Mahaprastanam", the "Great Renouncement of Mundane Life". Thus, the Thursday is famous as "Bharatagurudivas", the Great Thurday of Bharats or Bharat War. That Thursday is also the last day of Dvaparyuga. Thus, the Kalyuga starts with a Friday. Therefore, the Indian astronomers and the commentators have consistently taken "yuga" as "Kaliyuga", Bharat as Mahabharat War or associating with Mahabharat. Modern scholars like P. C. Sengupta8 (1927) and W. E. Clark9 (1930) have also taken the meaning of the expression bharatat purvam as “before the commencement of Mahabharat battle”. From the literary and epigraphical evidences, it can be noticed that the usage of such concepts related to Brahmana period (c.1800-1400 BCE) and Mauryan period (300 BCE) has only been used in the astronomical works dated later period. For example, the vyatipada principle used by Aryabhatra is found in Vedanga Jyotisha of Lagadha10 (c.1400 BCE). These evidences prove the continuity of the Vedic astronomy through Siddhantic and later astronomical works. How It is Linked with the Dates of Indian astronomers? The ancient Indian astronomers perhaps purposely linked the determination of their dates of birth, composition of their works, calculation of number of years elapsed, etc., based on two eras Kali and Saka. Therefore, without the significance of these two eras, the dates cannot be determined specifically. “When sixty times sixty years and three quarter yugas (of the current yuga) had elapsed, twenty three years had then passed since by birth” (K. S. Shukla). “Now when sixty times sixty years and three quarter Yugas also have passed, twenty increased by three years have elapsed since my birth” (P. C. Sengupta). “I was born at the end of Kali 3600; I write this work when I am 23 years old i.e, at the end of Kali 3623" ” (T. S. Kuppanna Sastry11). The year of birth = 3600 – 3102 = 488 / 499 CE. This has been accepted by most of the scholars and generally accepted date. Had the commencement year 3102 BCE is a myth or not astronomical one, the year of Aryabhata cannot be historical date. “Since the beginning of the current Kalpa, the number of years elapsed is this: zero, three, seven, three, twelve, six, eight, nine, one (proceeding from right to left) years. The same (years) in figures are 1986123730”. “The time elapsed, in terms of years, since the commencement of the current kalpa is zero, three, seven, three, twelve, six, eight, nine, one (years written in figures) are 1986123730”. = 628 / 629 CE. Bhaskaracharya and others too imply Kaliyua/ era in their works as revealed through commentators, as their dates are determined with the calculations reckoning the date of starting of Kaliyuga / era as 3102 BCE. The end of Mahabharat war. The death of Sri Krishna. The deluge, which made Dwaraka, submerged. In Indian astronomical works including Tantras and Karanas, the word yuga has been taken as Kaliyuga for calculating, illustrative and explanatory purposes. In a Tantra, the epoch is the beginning of Kaliyuga or 3102 BCE. In a Karana, any convenient epoch is selected by the astronomer. “The Saka year (when the civil days are required) added to 3179 gives the solar years elapsed since the beginning of the Kaliyuga” (Sisyadhivrddhida -Tantra13 – hereinafter mentioned as ST - of Lalla.I.12). Here, that the Saka year began 3179 after the beginning of the Kaliyuga is specifically mentioned. Moreover, in the calculation of days elapsed, solar years elapsed, Suddhi ertc., Kaliyuga is repeatedly mentioned and used for illustrations. “…the solar months elapsed since the beginning of the Kaliyuga multiplied by 22,26,389 and divided by 21,60,0000 give the corresponding lunar months” (ST.I.15). The commentators Bhaskara I, Somesvara, Suryadeva Yajvan and others have pointed out the relation between Mahabharata and Kaliyuga. The usage of Kali era by the astronomers with the Mahabharata, that too, with Mahabharat war in particular, has been consistent. Many astronomers mention Kali era and Saka era together. “Since the birth of Brahma up to the beginning of the Saka era, 8 ½ years (of Brahma), ½ month (of Brahma), 6 Manus of the (current) day (of Brahma), 27 ¾ yugas, and 3179 years of the (current) Kali era had gone by” (Vatesvara Siddhanta14.I.10, K. S. Shukla). Here, the number of years 3179 specifically mentioned is to obtain any year in terms of Saka, but it has been derived from the Kali era i.e, 3102 / 3101 + 78 = 3180 / 3179. As Vatesvara (c.880-960 CE) uses the notation, it is evident that even during the 9th century it had been very popular among the astronomers and established one. He also records his year of birth in that fashion as explained below. After Aryabhata, astronomers use the computation of years in Saka and as well as Kali Eras. The number of years to be reckoned in Saka with respect to Kali is given as 3179 and this is obtained by adding 78 to 3101 / 3102, thus, 3101 + 78 = 3179. Thus, the Tantra directs: Navadhrirupagniyuttam mahibhujam shakendratnam gatavarshadaraham (I.4) meaning, "Add 3179 to the Saka years elapsed, the Kali years elapsed are obtained". Thus, it is evident that such method of reckoning of years in Saka Era related to Kali Era and vice versa had been in vogue before 6th century. Vateswara says: “When 802 years had elapsed since the commencement of the Saka era, my birth took place; and when 24 years had passed since my birth, this Siddhanta was written by me by the grace of the heavenly bodies” (I.21). Thus, the year of birth = 802 + 78 = 880 CE and that of his work = 880 + 24 = 904 CE. The astronomers use certain Sakas as illustrative examples in their works. For example Mallikarjuna Suri and Candesvara, an astronomer of Mitthila use 1100 and 1107 Sakas for illustrating rules. The above discussion about Kaliyuga and Kali era amply proves its astronomical importance in time reckoning. It also points to the well established date of such reckoning starting with 3102 BCE and its connection with Mahabharat. The Saka Era has also been associated with it as starting 3179 after the starting of Kali Era. The date 3102 / 3101 BCE is very often used by the epigraphists, numismatists, archaeologists, historians, astronomers and others, but, assert that Kali Era / Yuga is a myth! Therefore, the application of 3102 BCE to determine and calculate other dates should be explained properly, because, the modern scholars use the same date, but even condemn and criticize it unwittingly at many places. That the astronomical interpretation of 3102 BCE continues with international scholars e.g, B. L. Van der waerden15 (-1996), Sepp Rothwangl16, B. N. Narahari Achar17 even today proves its continuance of its importance in the World astronomical research and studies, as now, they attribute the observation of such conjunction or planetary alignment to a non-Indian! Roger Louis Billard18 (1922-2000) has graphically tried to show that most of the Indian astronomical works were written around c.500 CE. In fact, his scale does not go beyond 500 BCE, because that is the limit fixed for the antiquity. But, the fact is that this date has been only the date of corrections made according to the ayanamsa and other factors taking into consideration around 479 CE. Therefore, naturally, the works would appear to have written around such date. But, the original text attributed to Aryabhata and others go back to earlier period. The existence of astronomical works like Vedanga Jyotisa of Lagadha (c.1400 BCE), Suriyapannatti or Suya-prajnapti (c.300 BCE) etc., prove the fact. Similarly, B. L. Van der Waerden tried to show that the 3102 BCE calculations were worked backwards by Indian copying from the tables constructed based on Greek astronomy. He also attempted to show that the actual observation was made by a Greek around 3100 BCE and not by an Indian. The controversy is age-old as the astronomers themselves. This is probably a confusion that has arisen in the minds of the intellectuals, because of the gap in their application of astronomical principles. However, as it has bearing on the determination of 3102 BCE and days connected, it is discussed here. Aryabhata applies the Ardharatrika system of reckoning that too specifically from Lanka. Many of his crucial verses point to actual observations made from Lanka, whereas, the later day astronomer-commentators interpret according to their positions or with reference to Ujjaini. Since the measures of a Manu, a (quarter) yuga and a Kalpa and the periods of time elapsed since the beginnings of Kalpa and Kritayuga (as taught by Aryabhata) are not in conformity with those taught in the Smritis, it follows that Aryabhata is not aware of the mean motions (of the planets) (BrSpSi, xi.10). Since Aryabhata states that three quarter yugas had elapsed at the beginning of Kaliyuga, the beginning of the current yuga and the end of the past yuga (according to him) occurred in the midst of Kritayuga; so his yuga is not the true one (BrSpSi, xi.4). Since the initial day on which the Kalpa started according to (Aryabhata's) sunrise system of astronomy is Thursday and not Sunday (as it ought to be), the very basis has become discordant (BrSpSi, xi.11). The original texts were continuously changed and the originality of Aryabhata's system of observation, recording etc., slowly forgotten. That there had been Smritis, which also had dealt with yugas, Kalpas and time reckoning. Therefore, that Aryabhata only first introduced Kaliyuga concept, yuga reckoning etc., are not correct, as such principles were dealt with in Smritis also before Aryabhata. The material period had been marked with critical study of astronomy and astronomical works without any political influence and disturbances. The observation made on 17th / 18th February 3102 BCE. The Grand / Great Conjunction of planets. Deluge occurred at some parts of the world, particularly at the Mediterranean area. The destruction / catastrophe took place after a Great War. Bhaskara I (c.550 – 628 CE) was not heard of in the north, whereas his work had been very popular in the South. Again, the atronomy was practiced in Kerala till 18th century from fouth century CE. Sundraraja (c.1500 CE) of Tamizhagam in his commentary on the Vakya-karana mentions Vatesa (Vatesvara) along with Aryabhata I, Lalla and other Indian astronomers. There has been claims that Aryabhata belong to Kerala, Tamilnadu and so on. In any case, the importance of South India is noticed. Incidentally, it has to be that the Kali Era reckoning starting with 3102 BCE had been famous in South India and the astronomical tables and charts of 3102 BCE taken to Europe and studied by the European scientists, astronomers and other scholars, were also from South India. Was the date 3102 BCE attributed to Mahabharat War was an observed one or Worked Backwards? Of late, as more and more scholars, particularly, the astronomers started accepting the date 3102 BCE, some counterclaims are made to stress that the said date is not associated with any actual observation, but on calculations worked backwards. Then, the argument is extended as, even if such calculations were worked backwards by the Indians, the actual observation might have been made by a Greek. This is similar to the old controversy nourished by the British / European scholars earlier since 17th century and developed by John Bentley. Even today scientific methods, statistical and empirical methods are applied to arrive at some conclusion. For example, Fred Espenak19, in his Six Millennium Catalog of Solar Eclipses (from 1999 BCE to 4000 CE), has shown that during every century interval, the number of eclipses occurred / occur varied / vary from 222 to 225, Partial eclipses from 73 to 96, Annual eclipses from 62 to 92, Total eclipses from 54 to 71 and Hybrid eclipses from 0 to 25. Such results obtained based on certain factors which in turn based on calculated from empirical fits, published observations and extrapolation values. However, he has not gone beyond 2000 BCE. Therefore, if data are obtained up to 4000 BCE, the facts about 3102 BCE can be verified. Similarly, the Conjunction could be an alignment, which could be also simulated to cross check. This is repeated in Brahma-sputha-Siddhanta (i.4), Maha-Siddhanta of Aryabhata II (i.5), Siddhanta-sekhara (i.10), Siddhanta-siromani of Bhaskara II (I.i.15). Chaitra is “Thula – Vrischika”. The beginning of Yuga is defined as the time when all planets are simultaneously on the horizon at Lanka at the first point of Aries. Incidentally, Surya Siddhanta after explaining the passages of Yugas etc., clearly records that the current year bega with the light half of Caitra (Chap.IV, verse.48). Again, the starting of 3102 BCE with Caitra Shukla has been reckoning adopted by the South India school of astronomy. This is the day i.e, on the first day of Chaitra of the Prashhimathi, Lord Krishna left this world and present Kaliyuga started. Therefore, the observation of 3102 BCE conunction points tro South India, probably, in Lanka (not the present Sri Lanka), as has been asserted by Aryabhata himself. When the people of northern India and Dwaraka faced with Mahabharat War and deluge respectively, the people at Lanka at far South, must have existed and the astronomer among them noticed the Conjunction and recorded. Thus, Kali ra became famous in South India. The same ideas / details / data are repeated. The stories / narratives are childish or out of place. The language used is not good. If any work – poem, law,. Medicine or engineering is taken for critical study, we know that certain lines are repeated for understanding. Particularly, the “rules”, “axioms” etc., are repeated. Likewise, the reasons mentioned are very common in any work. Therefore, in such a voluminous work, these points mentioned are not at all mistakes, but inherent features. Even if the work is expanded with such descriptive verses, the theme is not changed or understood differently by Indians at any stage. However, the Jain and Buddhist versions of “Mahabarat” are entirely different, where, the main characters have been purposely distorted and changed topsy-turvy with ulterior motive. Like Vedic tradition, the engaged groups and public are also recite Itihasas. The requirement of writing down in Indian context was necessitated only after the advent of alien invasions, distributed. Much has discussed about the invention and of script in India, starting of writing in India as if they were illiterate, in spite of the existence of Vedas among them with the material and non-material evidences. The only point of their doubt is that a single human being could not have composed or written 1,00,000 verses or 2,00,000 lines in his lifetime. This is definitely their own reflection of reality and not that of the Poet or Composer or Writer. There have been many examples, where Poets have composed lacs of verses. In Tanjavur Saraswati Mahal, a “Mahabharata” written by Madhvswami, an ardent disciple of Ramdas Swami, in Ovi-meter, Marasthi language to the extent of 1,20,000 verses is available. Besides, there have been four hand written copies of the volume. Recently, Sir Isaac Newton has been credited with writing of 50,00,000 words on different subjects. Then, he should have written 5,00,000 lines, if each sentence contains 10 words. Then, he should have composed 2,50,000 verses, had his writings been of poem of two lines! Why then one should doubt writing of one lakh verses / 2,00,000 lines? Therefore, this argument is not sustainable. The date of Mahabharat and Mahabharat war in particular, has been an important event in Indian history, though, the modern scholars do not accept the historicity of it. The Indian astronomers knew “Mahabharat” and consciously recorded it, particularly, its date, as it coincides with many important events. As religious heads / gurus wanted ordinary people to understand its meaning, they gave theological meaning, astronomers wanted to give astronomical and chronological significance and recording. Without its mentioning, the history of Indian astronomy is not complete. As the Indian astronomical works had been corrected incorporating the periodical observations, certain changes have crept into the works. Therefore, the dates of such corrections cannot be taken as the dates of the original works. John Bentley earlier and Roger Billard now have attempted to project such view. This would only date the works in recent times. The unnecessary crowding of astronomers around c.500 CE appears to be artificial and not astronomical20. The dating of Kaliyuga / Era as 3102 BCE has been the sheet anchor of Indian astronomy, whether, one wants it or otherwise. Even, the scholars, who fix different dates for Mahabharat, have to depend on 3102 BCE for determining their differed dates. 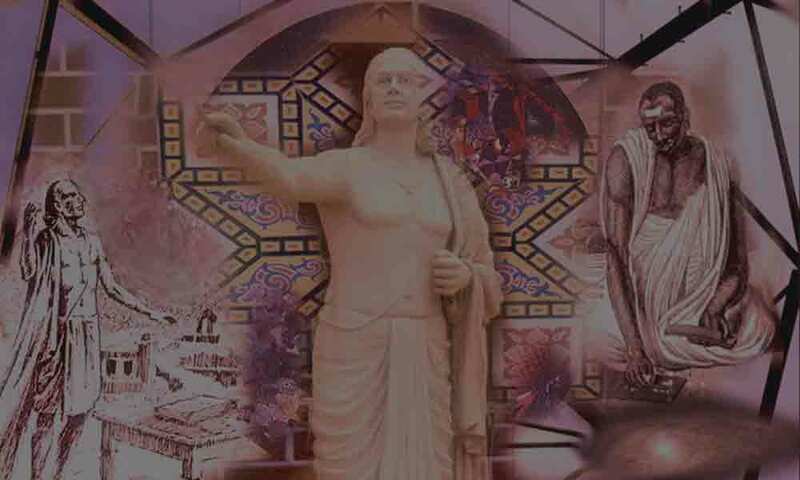 The Indian astronomers starting with Aryabhata to others have known the date of Mahabharat and its connection with Kali Yuga / Era and thus, their works and commentaries have been consistent. That the date 3102 BCE has been discussed by many astronomers, scientists and scholars of many fields even today proves its importance in the Indian and as well as world history. 1. Andrew Stirling, An Account, Geographical, Statistical and Historical of Orissa Proper or Cuttack, in Asiatic Researches, Vol.15, 1822. …………………, Journal of Royal Asiatic Society of Bengal, Vol.VI, Part-II, 1837. Here, the chronology is traced back to Yuddhistira who ruled 3095 – 3083 BCE. 2. M. Winternitz, A History of Indian Literature, University of Calcutta, 1978, Vol.I, Part-II, p.416. 3. Fatah Singh, The Vedic Etymology, The Sanskriti - Sadan, Kota, 1952, p.177. 4. Kripa Shankar Shukla, Aryabhatiya, Indian National Science Academy, New Delhi, 1976. Part I (Critical Edition with Translation). 5. Prabothchandra Sengupta (Trans. ), The Aryabhatiyam, The Journal of the Department of Letters in the Calcutta University, Calcutta, Vol.XVI, 1927, pp.1-56. 6. K. S. Shukla, Aryabhatiya of Aryabhata with the Commentary of Bhaskara I and Somesvara, Indian National Science Academy, New Delhi, 1976. Part II (Critical Edition with commentary). 7. K. V. Sarnma (Ed. ), Aryabhatiyam, commentary of Suryadeva Yajvan, INSA, New Delhi, 1976 (With Introduction and Appendices). 8. P. C. Sengupta, opt.cit, p.6-7. 9. Walter Eugene Clark (Trans. ), Aryabhatiya of Aryabhata, University of Chicago Press, Chicago, Illinois, 1930. 10. T. S. Kuppanna Sastry (Trans. ), Vedanga Jyotisa of Lagadha, Indian National Science Academy, New Delhi. 11. T. S. Kuppanna Sastri (Ed), Mahabhaskariya of Bhaskaracarya with the Bhasya of Govindasvamin and the Super-commentary Siddhantadipika of Paramesvara, Government Oriental Manuscripts Library, Madras, 1957. 12. Mahabharata, Bhagavata Purana and other astronomical works. Venkatesh Bapuji Ketkar, Indian and Foreign Chronology with Theory, Practice and Tables, Bombay Branch of Royal asiatic society, Bombay, 1923. 13. Bina Chatterjee (Tr. ), Sisyadhivrddhida Tantra of Lalla, Indian National Science Academy, New Delhi, 1981. Part I (Critical Edition and commentary) and Part II (Translation and Mathematical Notes). 14. K. S. Shukla, Vatesvara-Siddhanta and Gola, Indian National Science Academy, New Delhi, 1985. Part I (Critical Edition with text) and Part II (Translation and Commentary. 15. B. L. Van der Waerden, The Conjunction of 3102 BCE, Centaurus, 1980, Vol.24, pp.117-131. …………………………., The Great Year of the Greek, Persian and Hindu History of Astronomy, Archive for History of Exact Sciences, Vol.18, 1978, pp.357-384. 16. Sepp Rothwangl, 300-year-fake – Is there a Medieval 300-year-time fake?, 2000. ………………….., In Search of Acquarius, available in Website. 17. B. N. Narahari Achar, A Critical Examination of the Astronomical References in Mahabharata and Their Simulation by Planetarium Software, a presented at University of Memphis on October 2, 1991. ……………………….., Date of the Mahabharat War Based on Simulations Using Planetarium Software, a paper presented at Colloquium on the Date of Kurukshetra War Based on astronomical Data held at Bangalore on Januaruy 5th and 6th, 2003. Available inWebsite. 18. Roger Billard, Journal of Indian National Science academy, New Delhi. 20. K. V. Ramakrishna Rao, The Significance of the Year 499 CE in the Indian Astronomy, Aryabhateeya ’99, Tiruvanathapuram, 1999, p.9. There is evidence to suggest contact between the two from around BCE 3000. The findings of Indian muslin, cotton and dhania (coriander) in Egypt. Terracotta mummy like figures found at Lothal and Mohenjodaro. The Egyptian mummies were wrapped by Indian muslins (c.3000 BCE). Dhania (coriander seeds) were also found. c.3000 BCE The Egyptians themselves had the tradition that they originally came from a land called Punt Punt, which an historian of the West, Dr. H.R. Hall, thought referred to some part of India. Egyptian 18th dynasty – c.2500 BCE The Mitanni, who worshiped Vedic gods, belonged to an Indic kingdom that was connected by marriage across several generations to the Egyptian 18th dynasty to which Akhenaten belonged. W. M. Flinders Petrie The first Mitanni king was Sutarna I (“good sun”). He was followed by Paratarna I (“great sun”), Parashukshatra (“ruler with axe”), Saukshatra (“son of Sukshatra, the good ruler”), Paratarna II, Artatama or Ritadhama (“abiding in cosmic law”), Sutarna II, Dasharatha, and finally Mativaja (Matiwazza, “whose wealth is prayer”) during whose lifetime the Mitanni state appears to have become a vassal to Assyria. 1352-1336 BCE The Sun King Akhenaten of Egypt (ruled 1352-1336 BC according to the mainstream view) was the son-in-law to Dasharatha, the Mitanni king of North Syria, through the queen, Kiya (the name Dasharatha is spelled Tushratta in the Hittite cuneiform script, which does not distinguish between ‘d’ and ‘t’ very well. Some have suggested that the Sanskrit original is Tvesharatha, “having splendid chariots”). 1352-1336 BCE Letters exchanged between Akhenaten and Dasharatha The letters have been found in Amarna in Egypt and other evidence comes from the tombs of the period that have been discovered in excellent condition. c.1450 BCE The Boghzkoi inscriptions of 14th cent.BCE In a treaty between the Hittites and the Mitanni, Indic deities Mitra, Varuna, Indra, and Nasatya (Ashvins) are invoked. A text by a Mitannian named Kikkuli uses words such as aika (eka, one), tera (tri, three), panza (pancha, five), satta (sapta, seven), na (nava, nine), vartana (vartana, round). Another text has babru (babhru, brown), parita (palita, grey), and pinkara (pingala, red). Their chief festival was the celebration of vishuva (solstice) very much like in India. It is not only the kings who had Sanskrit names; a large number of other Sanskrit names have been unearthed in the records from the area. The Vedic presence via the Mitanni in Egypt and the Near East occurs several centuries before the exodus of the Jews. This presence is sure to have left its mark in various customs, traditions, and beliefs. It may be that this encounter explains uncanny similarities in mythology and ritual, such as circumambulation around a rock or the use of a rosary of 108 beads. It proves the close contact between India and western Asia before 14th cent.BCE. 2,000 BCE A cylinder seal of about 2,000 BC bearing cuneiform inscriptions and images of Chaldean deities have been unearthed in Central India..
c.2,000 BCE In Southern India has been found a Babylonian sarcophagus Proves the connection between South India and Babylon before 2,000 BCE. Assurbanipal (668-626 BC) He cultivated Indian plants including the “wool-bearing trees” of India. 7th cent.BCE Knobbed pottery vases came to Sumer from India and so did cotton. The human figurines (the red sandstone torso of a man) datable to 3000-2500 BCE Indus valley civilization prove the perfected sculpture technology - cutting, hewing, chipping, chiselling, carving, engraving, forming, finishing, niche completing etc. and These processes are not possible without usage of high tensile Iron implements. A saw Do Do The saw is with undulating teeth, which allowed the dust to escape freely from the cut simplifying the carpenter’s job. Proves the skill of carpentry. Iron anchors datable to 3rd millennium BCE Found in the marine archaeological excavations at Dwaraka The anchoring techniques connected with organized shipping. Proves the developed status of marine expeditions. An Indian human head made of Bronze. c.3700 BCE Purchased by a private collector Harry Hicks in Delhi. The figure has been clearly Indian and the casing technique is remarkable. As per the nuclear tests conducted by Harry Hicks and Robert Anderson in the labs of USA and Switzerland, it is dated to c.3700 BCE. Proves the metallurgical expertise of Indians.